Here’s an update on my hive that swarmed. 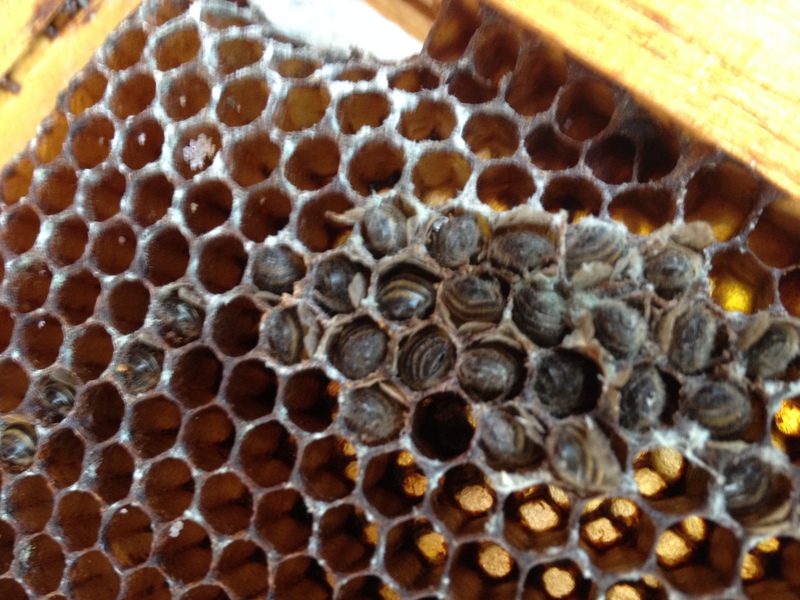 I was very pleased to see larvae and the queen in my hive a while back. (See last post). Well, I checked the hive again, a week later, on Friday, September 13. I saw no larvae and no queen. I saw no evidence that there was a queen there at all. 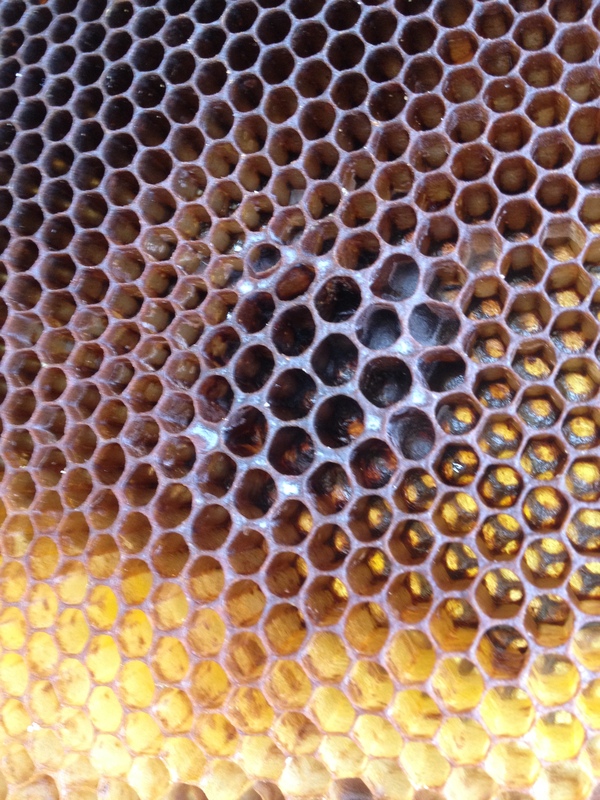 There was pollen and honey and worker bees, but no queen or larvae. So, I’m wondering what’s going on. I wanted to check again last weekend, but the weather was so bad I couldn’t get into the hives. I hope to do an inspection early this Friday, September 27. In the meantime, I removed some frames that had moth infestations and froze them. 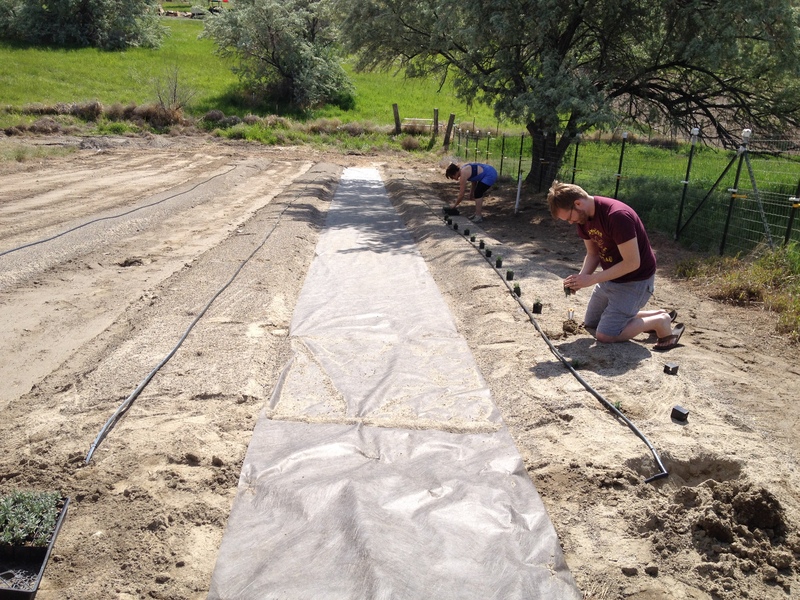 I also started supplemental water feeding and reduced the entrance to about an inch, so they could defend it better. I’ll probably remove an entire box so they have less room to work with and less space to spread out. On Saturday, September 14, I went to a very interesting class with Michael Bush sponsored at the Washington Arboretum in Seattle, sponsored by the Puget Sound Beekeepers Association. 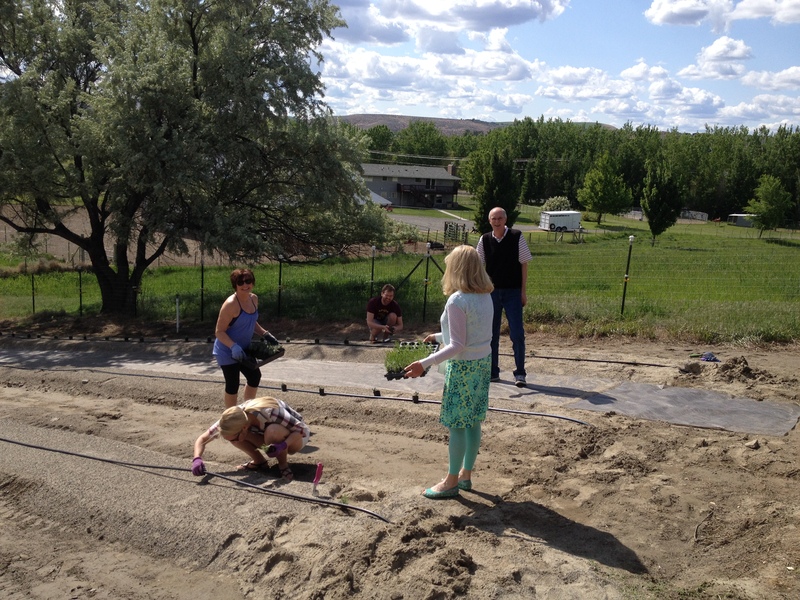 It dealt with natural beekeeping. It was very interesting and thought-provoking. I’ll talk about that next time. 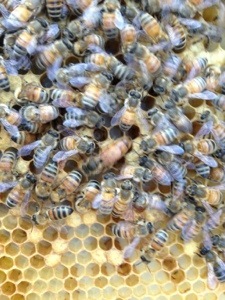 Not only did I see bee larvae for the first time in the hive that swarmed, I saw the queen. 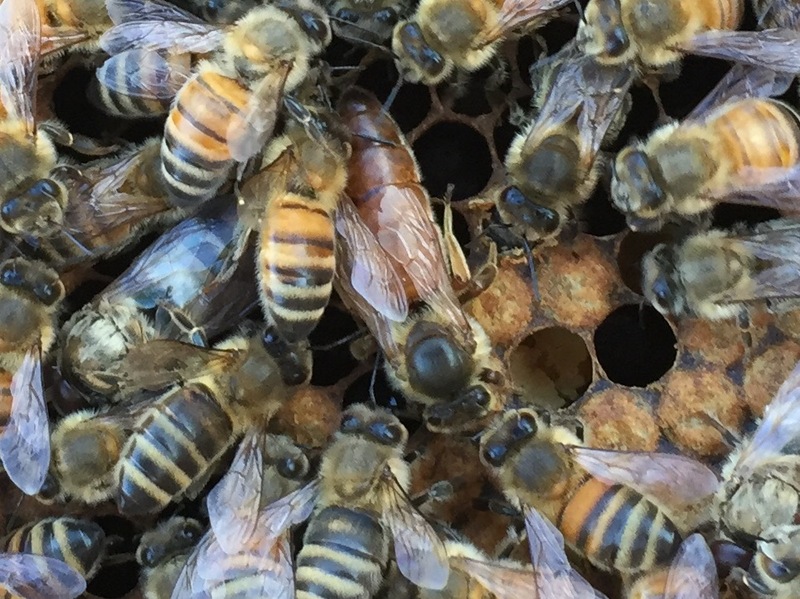 This was the first time I’ve ever seen a queen in one of my hives. She was clearly a replacement since she didn’t have a marking of any sort. I didn’t do a very good job of quantifying the larvae, but there were older ones and freshly laid. There also weren’t a ton of bees or much honey at all. So I put in a pollen patty and started them on 1:1 sugar water. I’ll check again on next Friday – Friday the 13th. I also added an entrance reducer to keep out wasps, moths robbers. As for the other hive, I cleaned out a few moths, larvae and cocoon. Think that’s getting closer to under control. But I need to find out of I can freeze the frame for a couple of days and stick it back in the hive. I’ll ask about that at the bee meeting tomorrow. 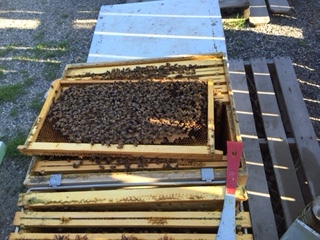 I didn’t get very far into the bottom box because the bees seemed like they were getting pretty agitated and started spilling out over the top. So, I put everything back together. However, I did put the small honey super between the two larger boxes so they’d be more likely to set up shop in it. That’s the theory anyway. No queen excluders. That’s all for them. 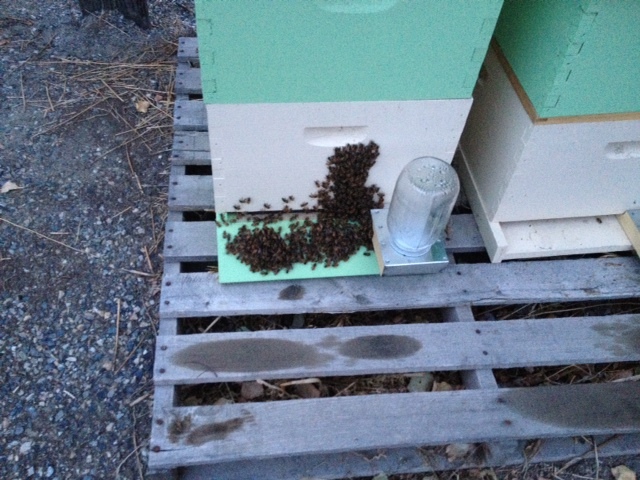 I inspected the hives yesterday. 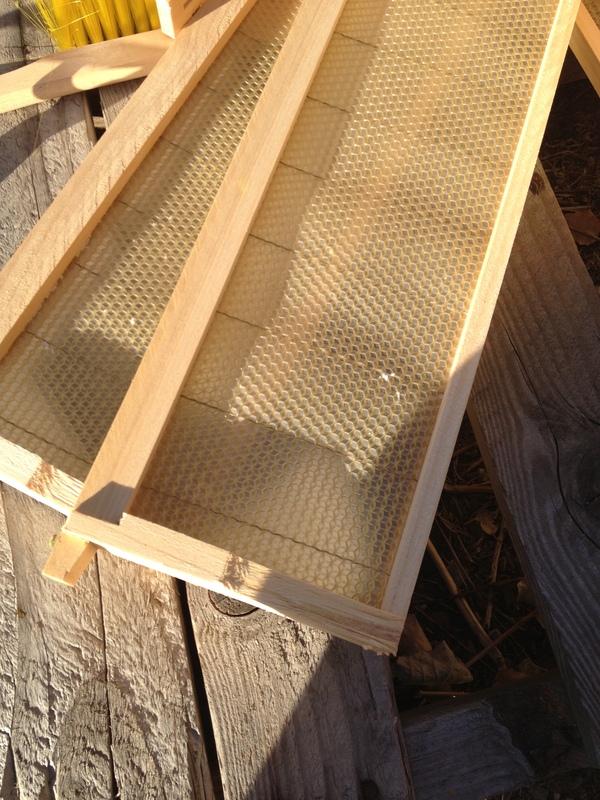 Right hive – The right hive was pretty devoid of honey, bees and anything else. There as a wax moth larvae in frames 6, 7, 8 and 10. I pulled them off the combs with a pair of needle nose pliers. There were plenty on the 10th frame, enough that I just ended up pulling the entire frame and popped it in the freezer. 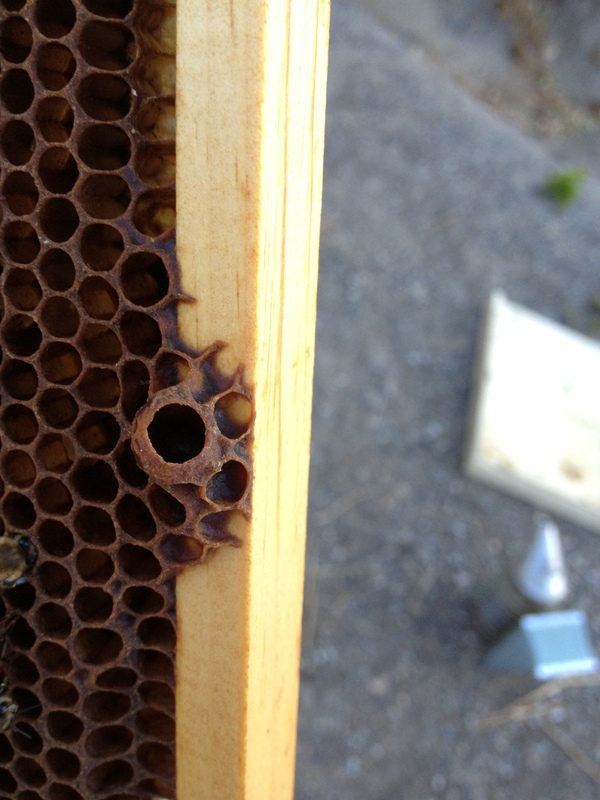 There were also wax moth larvae in the bottom of the hive, so I swapped out the bottom. 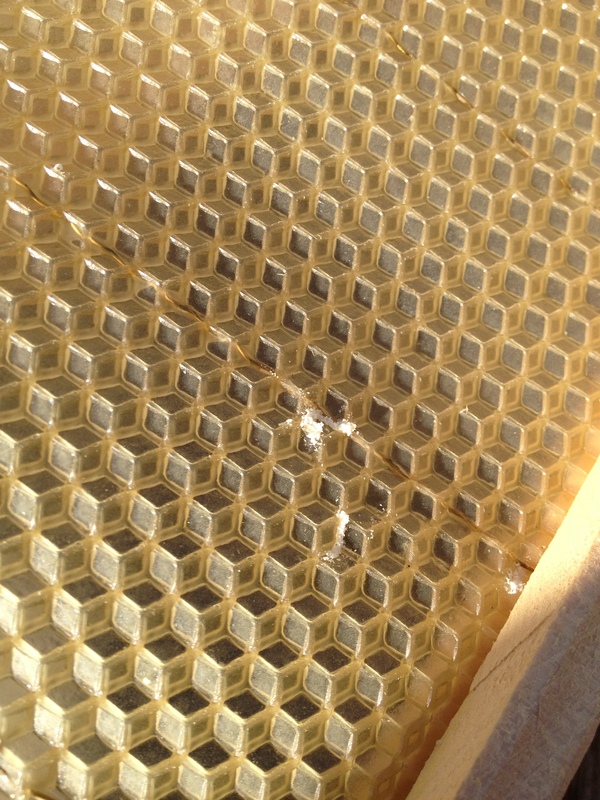 It looks like this hive is simply being raided by the hive next door of its pollen and honey. There didn’t appear to be a queen present because there were not bee larvae present. They had built a small amount of comb, because it some of the frames were combed together and I pulled them apart last week and scrapped off the comb off the top of the frames. 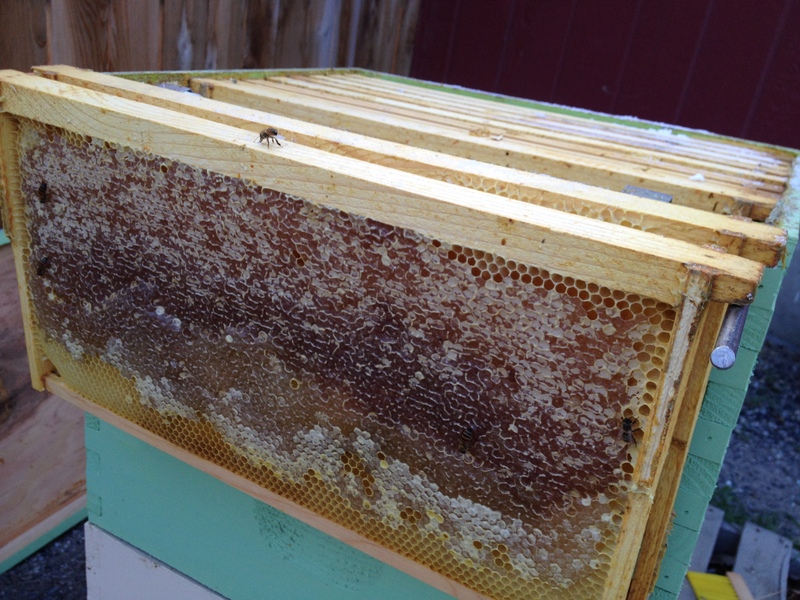 Left hive – The left hive was doing pretty well. LOTS of honey in the top box. Honey and/or pollen in all frames except 10. Brood or larvae in frames 3, 4, 5, 6, 7 & 8. The bottom box had brood mostly, as opposed to larvae in 2, 4, 5, 6 & 7. Honey and pollen in 8, 9 & 10. Queen cup in the bottom of frame 4. I added a honey super onto this hive, without the queen excluder just to give the bees somewhere to go. The wax foundations on one of my honey supers had a white powdery substance on it. I didn’t know if that was the beginnings of wax moths so I stuck the whole lot in the freezer. 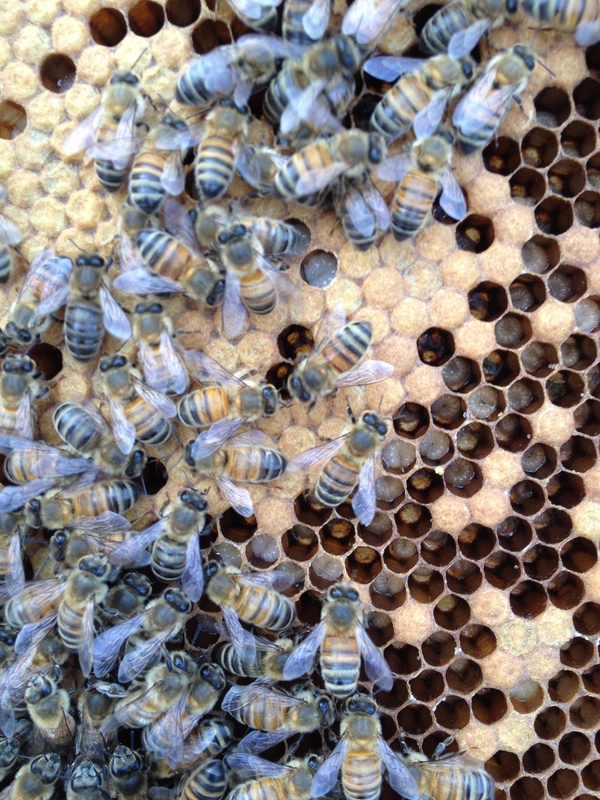 Queen cup found at the bottom of the productive hive. Another look at the stuff that was on the wax foundation that could be was moth residue.